Sowton Mill stands on the River Teign in Devon and has been using hydro power for over 400 years, initially to mill corn and then, from the 1950s, to generate electricity. In the 1980s a 16kW crossflow turbine was installed which was the U.K.s smallest electricity contributor to the National Grid. 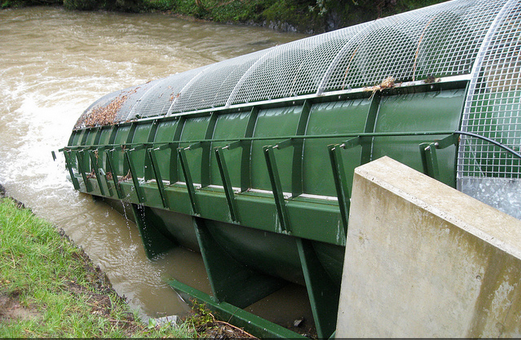 To improve the power generation and aid fish migration a decision was made to install the fish-friendly Archimedean Screw hydro turbine. 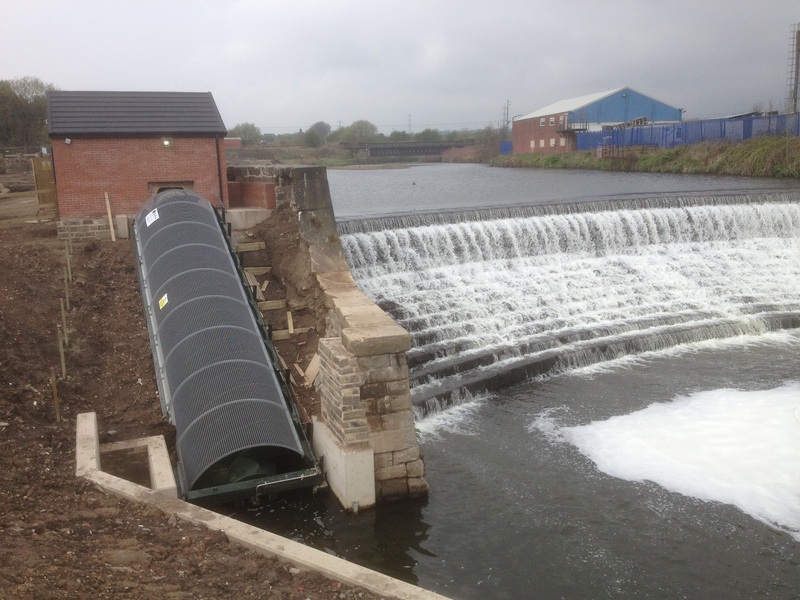 Sowton hydropower scheme was developed by a private client to provide a renewable source of electricity to the property on site with all excess power sold to the National Grid. 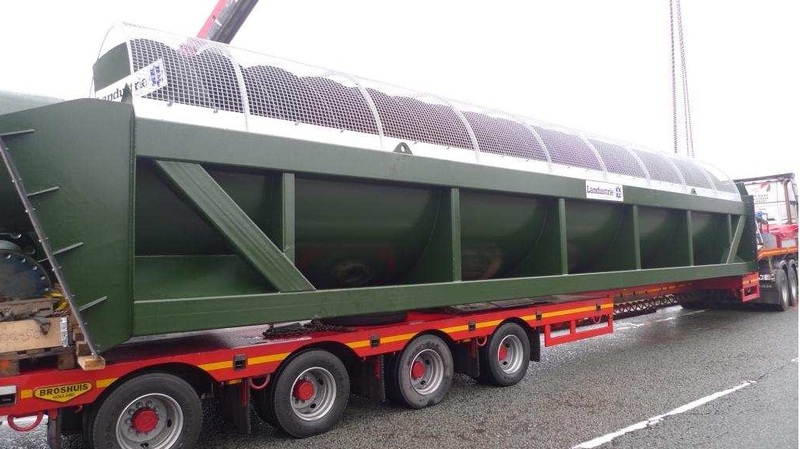 Mann Power Consulting Ltd.,designed the Open Compact Archimedean Screw for this particular site which was manufactured by Landustrie in Holland. An Open Compact is a self-supporting U-shaped steel construction minimising necessary civil work on site. The generator unit is an integral part of the construction, easily accessible via a weatherproof, hinged generator cover. The length and diameter of an Archimedean Screw will be dictated by the parameters of the particular site and are finished in the colour of your choice. 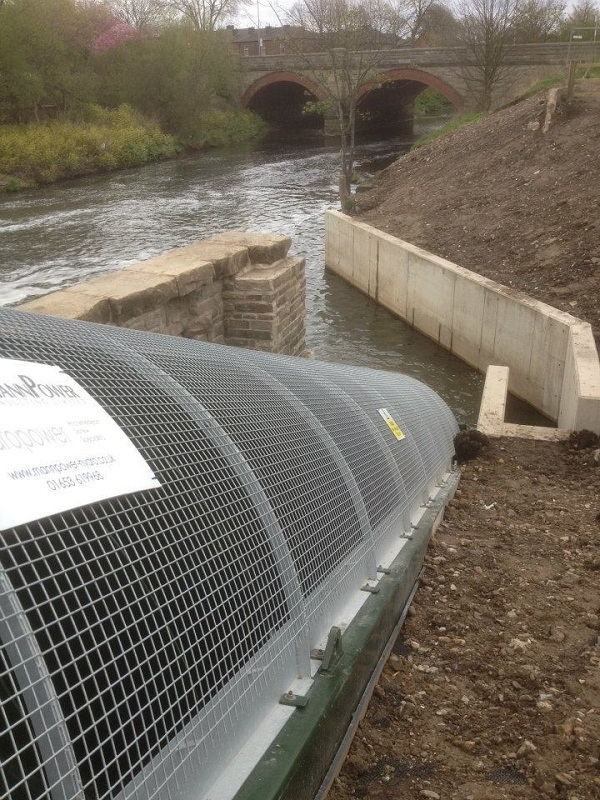 All Archimedean Screws are manufactured as bespoke installations. Rated at 95kW it is expected to save in excess of 165 tonnes of Carbon Dioxide (C02) annually. 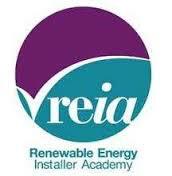 The predicted annual output is 368,000kWh per year. 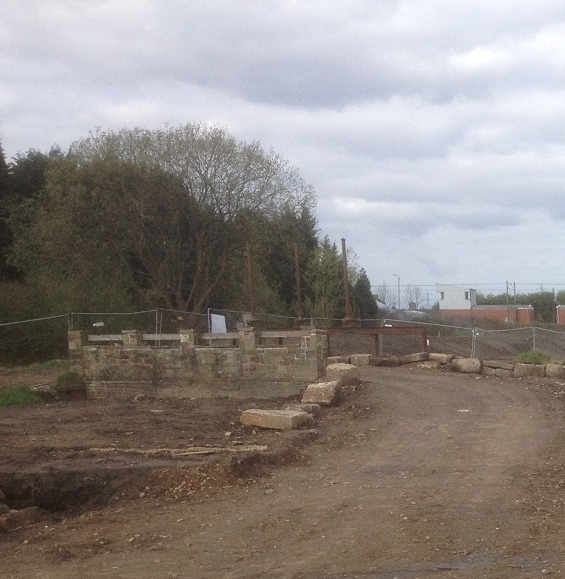 Improvements were also made to the fish pass at the nearby Weir. These measures will make it easier for fish to move upstream and will add to the understanding of their migration patterns. 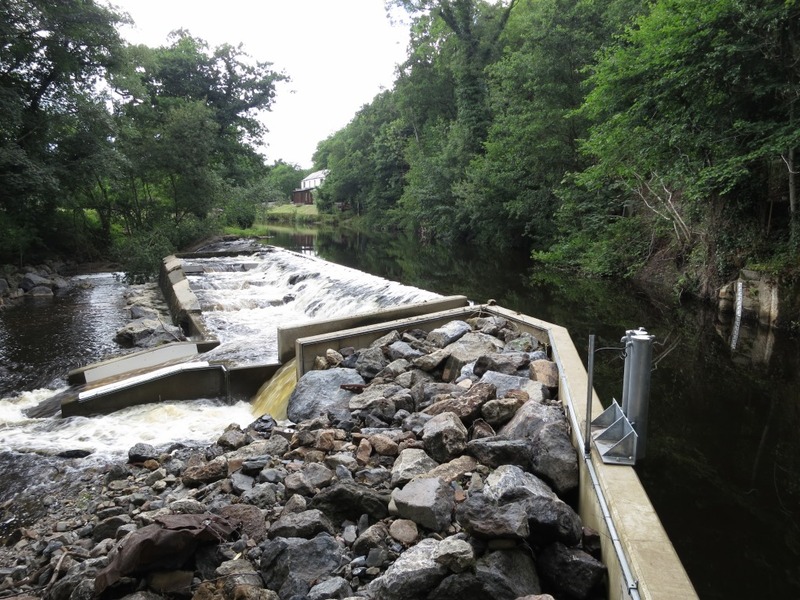 The Archimedes hydropower installation has improved the fisheries ecology of the river Teign by allowing more juvenile salmon and sea trout reach the sea. 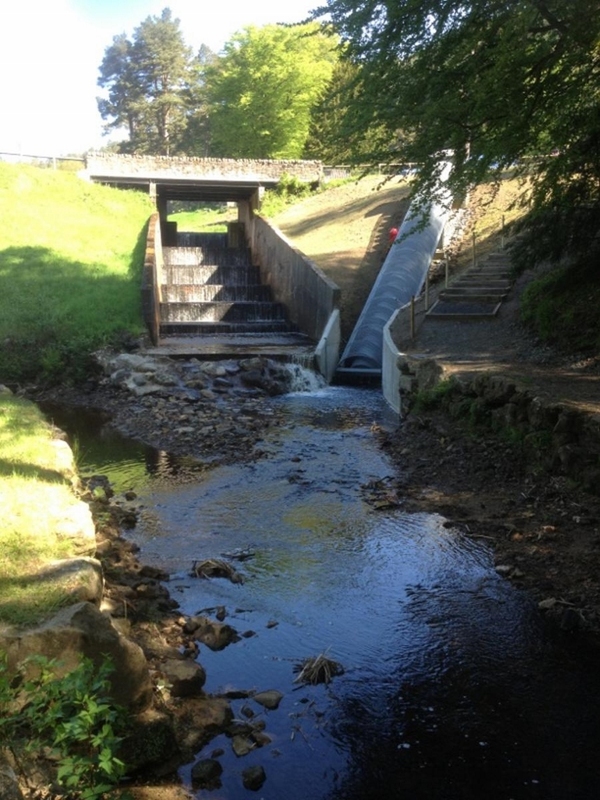 The improved fish pass at the weir means more salmon and sea trout can reach spawning grounds on the upper Teign. An automatic fish counter was also installed to count the fish numbers and species using the pass. This provides invaluable information for the Environment Agency and the Teign fishing association. 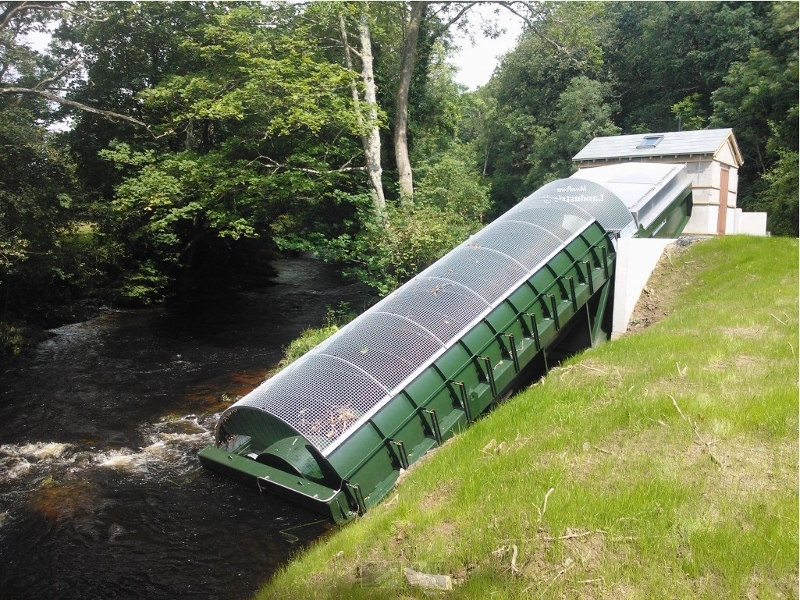 The commissioning of the Archimedean Screw hydropower turbine at the National Trust owned Cragside House and estate has begun. In the coming weeks it will once again re-light Cragside House and enable Cragside to re-tell the story for which it is famous. 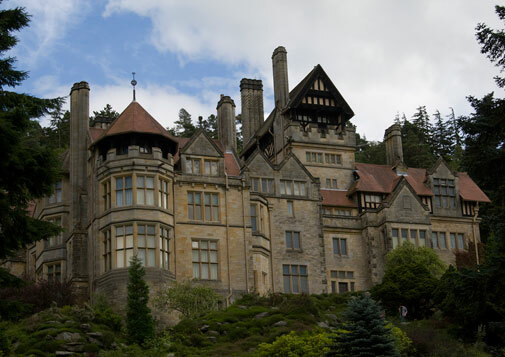 Cragside was built on the side of a rocky hill in 1863 as a modest two storey country lodge, but was subsequently extended transforming it into an elaborate mansion known as the “palace of the modern magician”. Lord William Armstrong was an ingenious man who was fascinated by renewable forms of energy and used his engineering genius to harness the energy of water to generate electricity. First, in 1878, it was used to power arc lamps and then in 1880 to use Joseph Swan’s newly invented incandescent light bulbs to light the house. There was also a lift installed which was water powered! 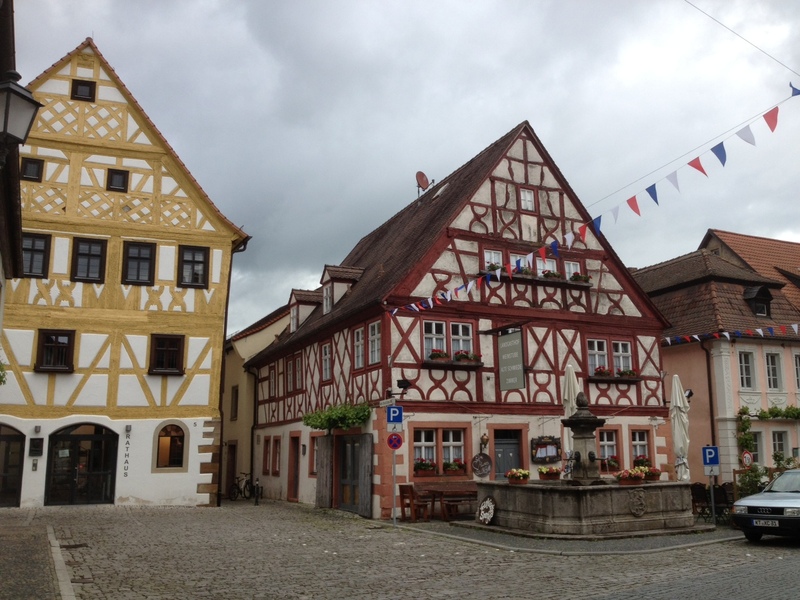 It is crammed full of ingenious gadgets – most of them still working. 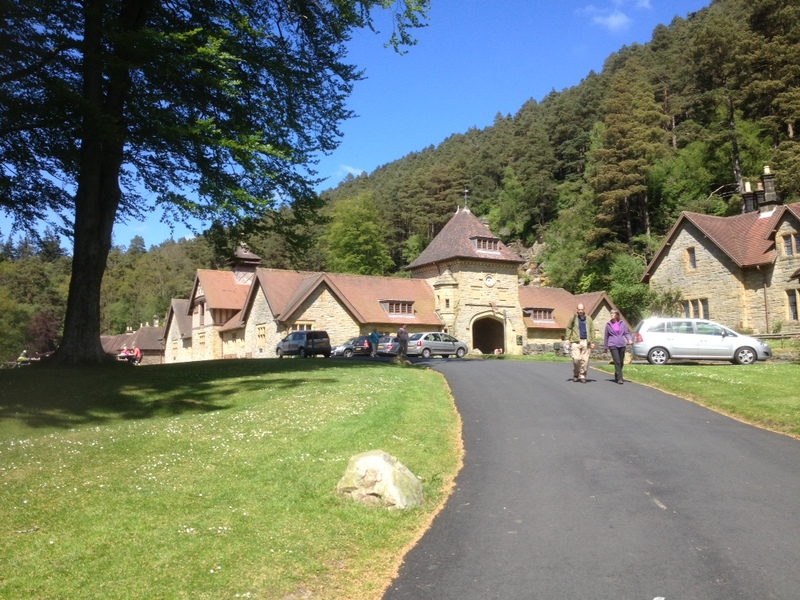 Cragside is well known as the first house in the world to be lit by hydroelectricity. On the 9th April, a century and a half after the first hydropower installation at Cragside House a new hydropower turbine arrived onsite. 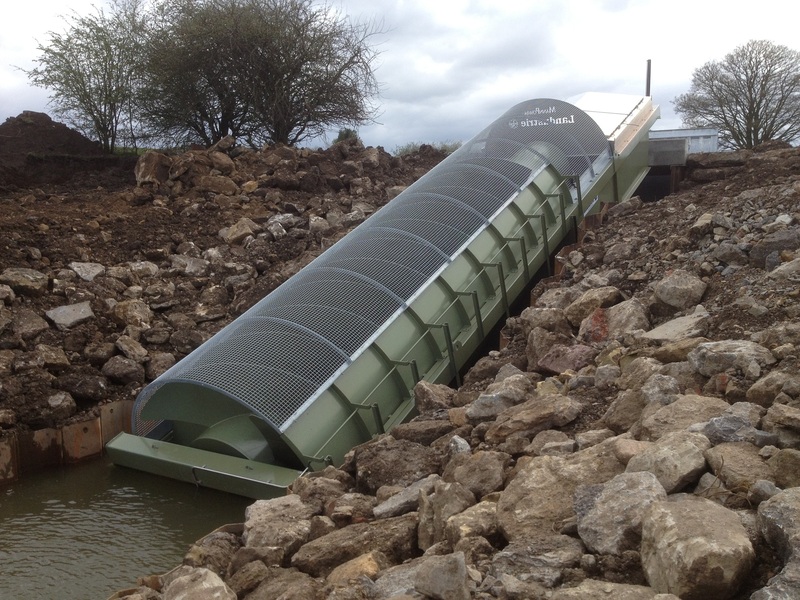 A 21st century, 17m long Archimedean Screw rated at 12kW and weighing several tonnes was craned into position at the southern end of Tumbleton lake and once commissioned will produce enough energy to re-light the house just like Lord Armstrong did. 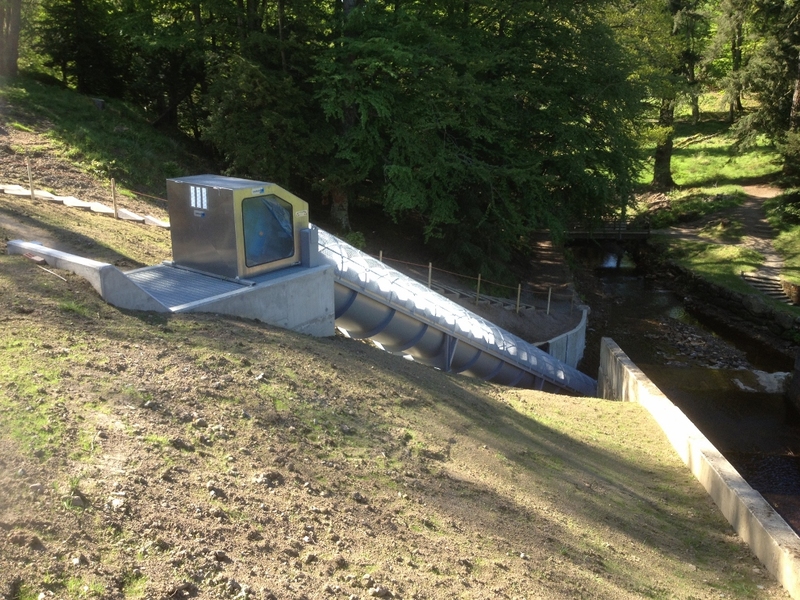 The turbine designed and supplied by Mannpower Consulting Ltd., and manufactured by Landustrie will turn water from Tumbleton lake, the lowest of the five lakes on the Cragside estate, at an angle that allows water to pass between the lake and the burn below. As water passes through the spiral blades it causes the screw to turn, thereby harnessing the energy of falling water. The energy is then converted into electricity using a generator. The technology is well proven with over 100 installations in Europe and was chosen by the National Trust for its many advantageous features. In comparison with most turbines the Archimedean hydropower screw makes use of an open construction and a low rotational speed. This results in a natural flow and there is no pressure build up in the entire installation. Furthermore extensive testing shows that due to the size of water chambers and the fact that there is no pressure difference fish will pass through unharmed. The Landy hydropower screw makes use of a specially designed inlet and outlet that make the screw absolutely fish friendly. 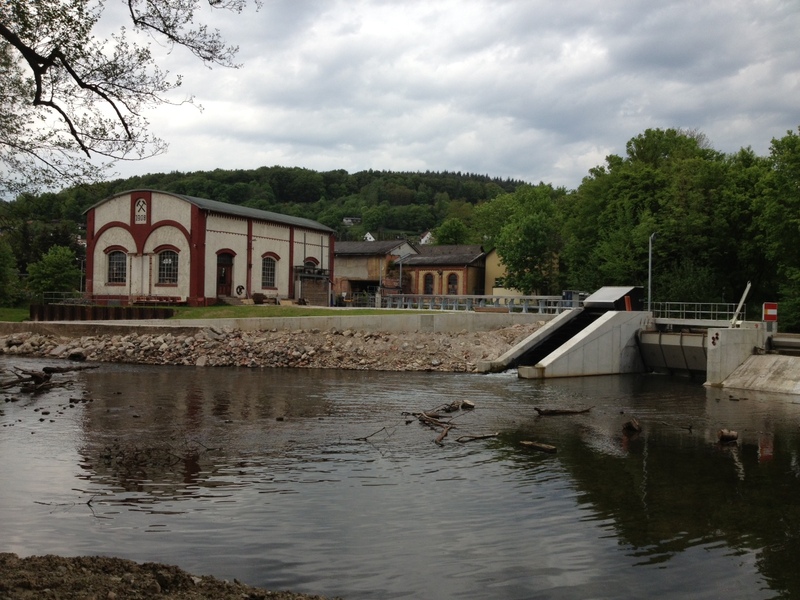 The water outlet is designed in such a way for the water (and fish) to smoothly exit the screw without splashing. This also reduces the noise that water creates. The area around the screw will be landscaped to leave the screw prominent within its setting with the hope that this will add to people’s understanding of why Cragside is so special . Once the lake has refilled, the screw will be put into operation to generate electricity to re- light Cragside House. Visitors will be able to view the technology from the lake side. 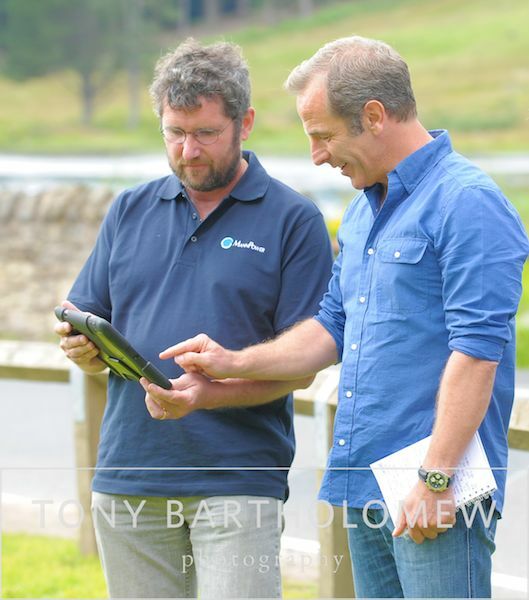 On the 29th July actor Robson Green turned on the screw at the National Trust property and launched the hydropower project. 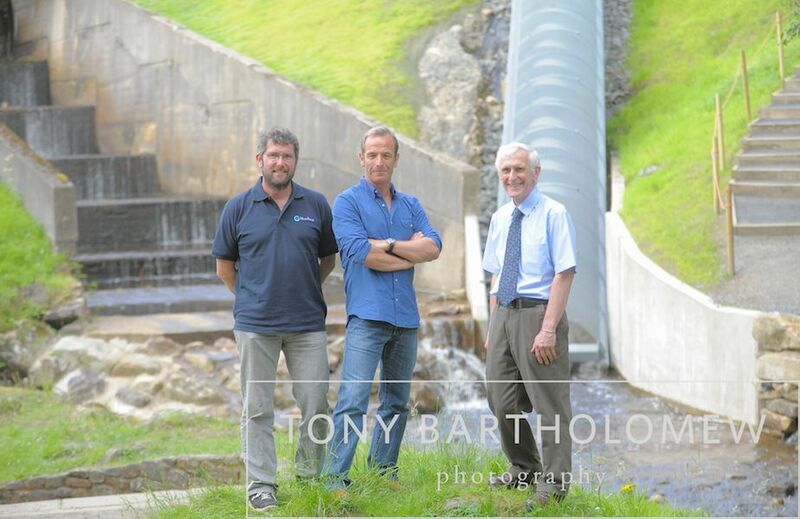 It was a proud day for Dave Mann of Mannpower Consulting Ltd., to see yet another one of his hydropower projects being switched on to generate clean green energy. Sarah Pemberton, Head of Conservation for Yorkshire and the North East at the National Trust explains: “The hydro-turbine is a great example of the innovative methods we are using to achieve the highest possible standards of sustainability. Patrick Begg, Rural Enterprises Director at the National Trust, said: “To install a scheme that reflects the character of one of our places so directly is unique. It not only makes economic sense but adds so much depth to the story this special house has to tell. 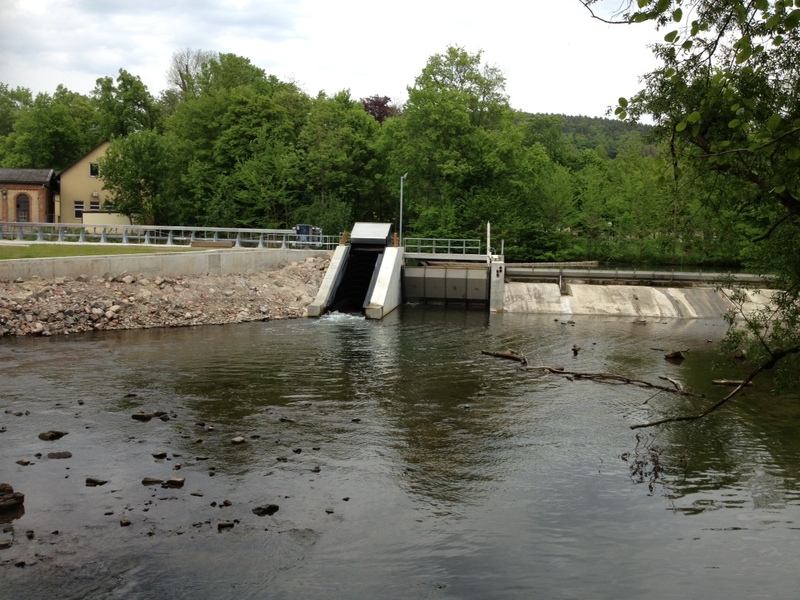 We design, install and commission hydropower schemes in both Ireland and the UK. 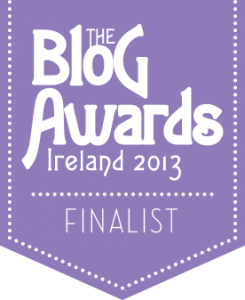 A whistle stop tour with Archimedes! 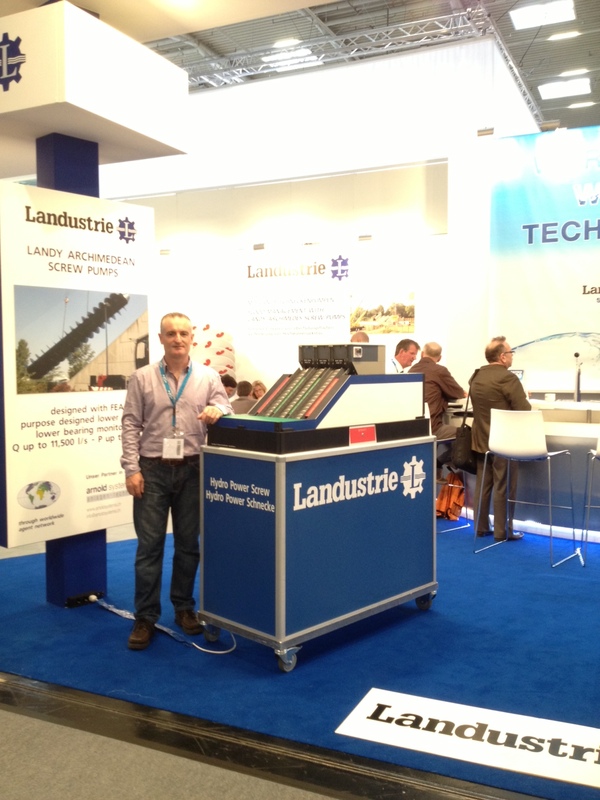 Accompanied by Dave Mann and his crew from Mannpower Consulting Ltd., we set off on our whistle stop tour beginning with a visit to the IFAT show in Munich and continuing on to visit some Archimedes Screw installations in Munich, Czech Republic and The Netherlands. 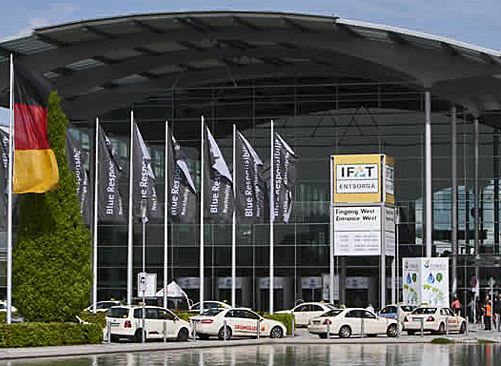 IFAT 2014 is the world´s leading exhibition of innovation solutions for environmental technology. Climate change, rising raw material prices, an increasing number of mega-cities and advancing industrialization in emerging countries boost the demand for products and services that address environmental and climate challenges. With growing pressures on European countries to reverse years of environmental damage and to find more integrated pollution control techniques, the potential is limitless. The various exhibitions covering water, sewage, waste and raw materials management showcased the latest water technologies from around the world which identified strategies and applications that will aid the reversal of the damage done to our environment. A total of 3,081 exhibitors from 59 countries attended the show making this the biggest show for the water sector. 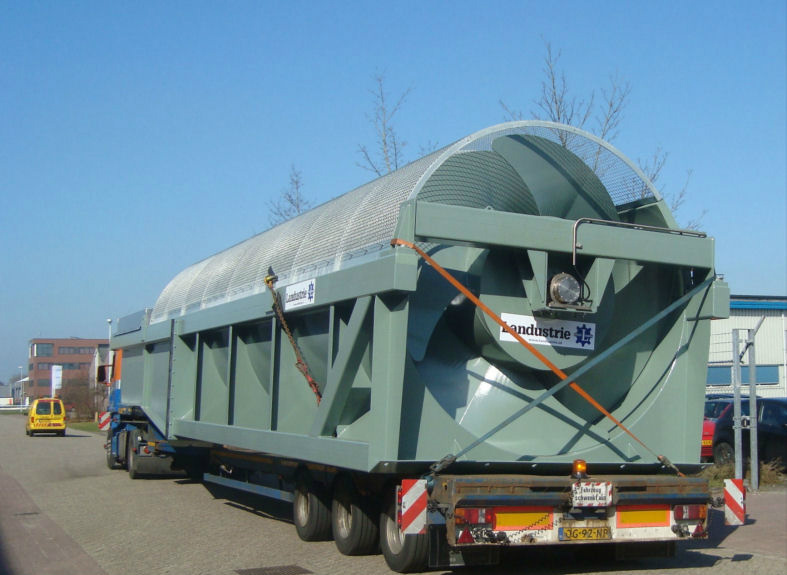 After the exhibition we set off to visit several of the Landy Archimedes Screw hydro installations and finished the tour with a visit to Landustrie the manufacturers of the Landy Archimedes screw based in The Netherlands. 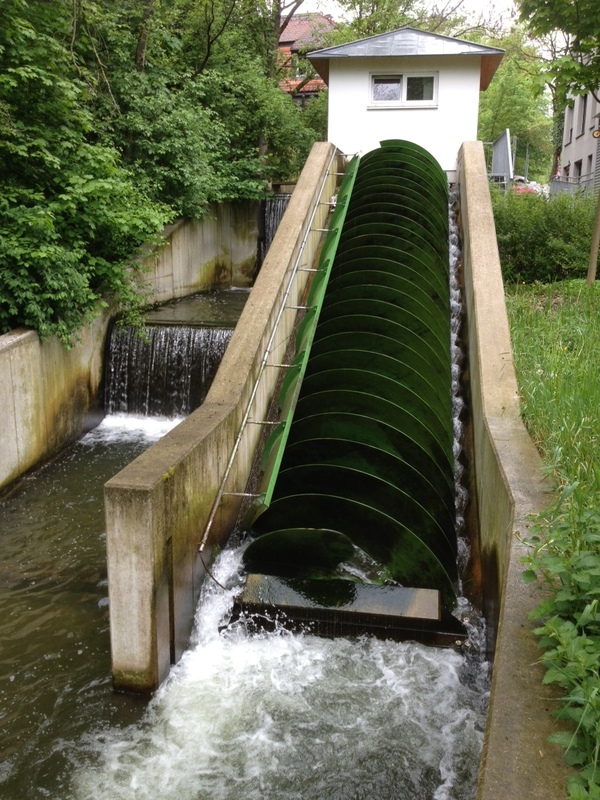 The Archimedean Screw has been used for pumping water for over 2000 years. 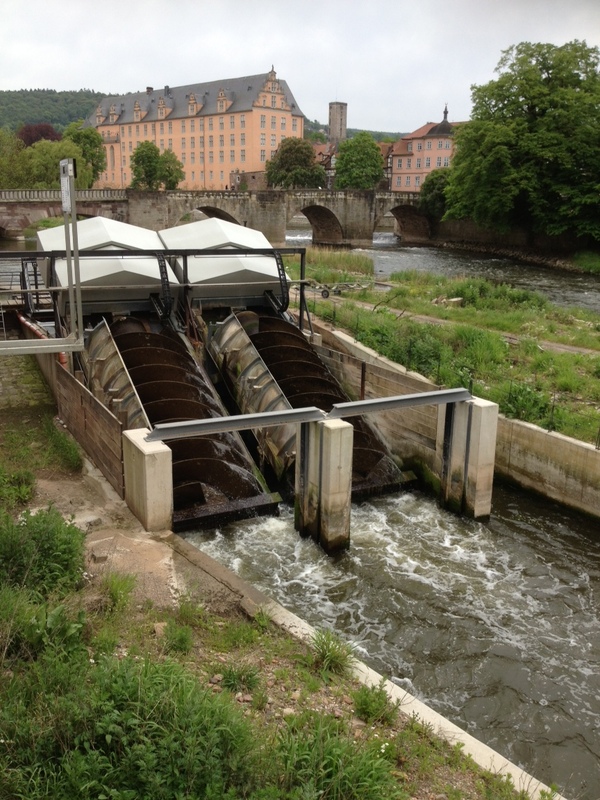 Applying the principle in reverse, the same equipment now offers a new method for generating power from water, providing a fish friendly and highly efficient alternative to a conventional turbine. 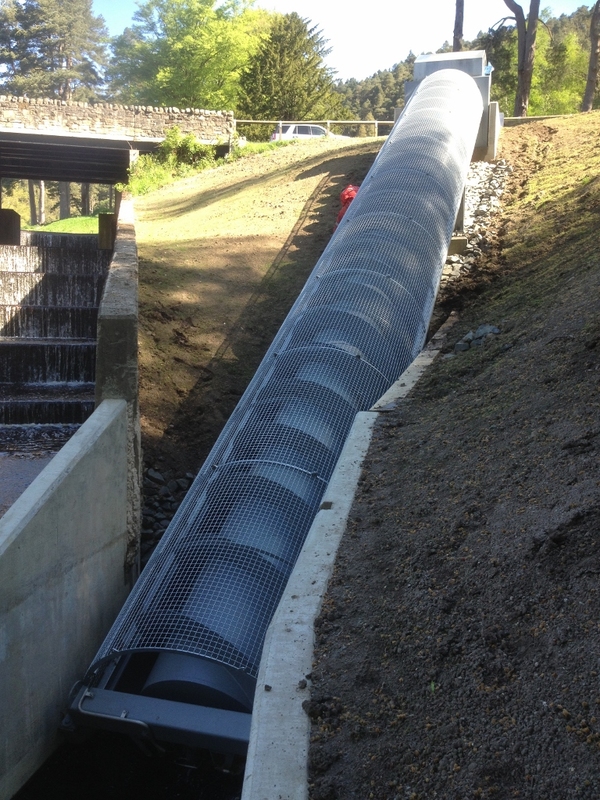 Each Archimedean Screw hydropower system is manufactured to be site-specific, with a choice of three designs depending on which is the most appropriate and cost-effective for each individual site. The artwork displayed in the hall of Landustrie by Friesian artist Ymke Meester was commissioned to celebrate the 100th anniversary of Landustrie. 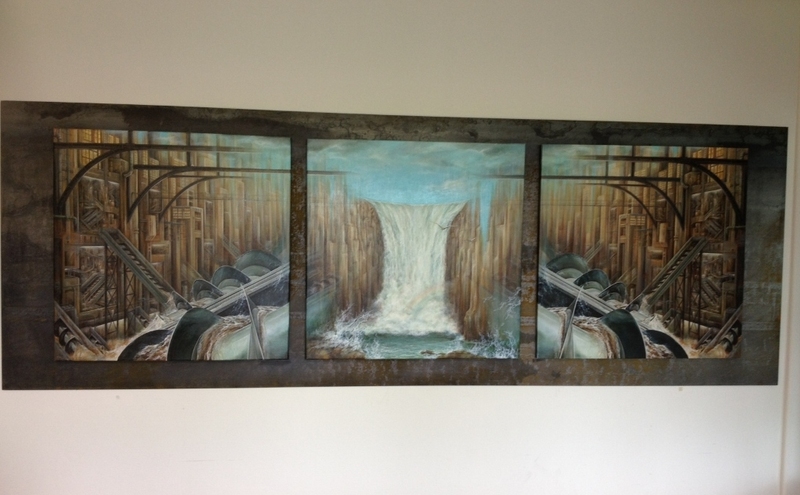 It is a triptych depicting an impression of a fictitious industrial environment in which the screw pump and waterpower are central. 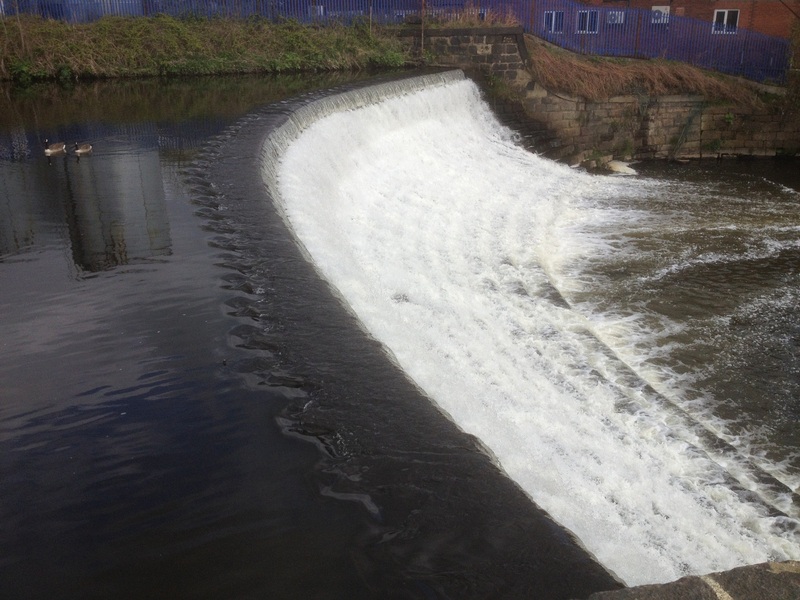 A recent hydropower scheme that we commissioned is up and running and is situated at Linton Lock on the River Ouse between York and Harrogate. 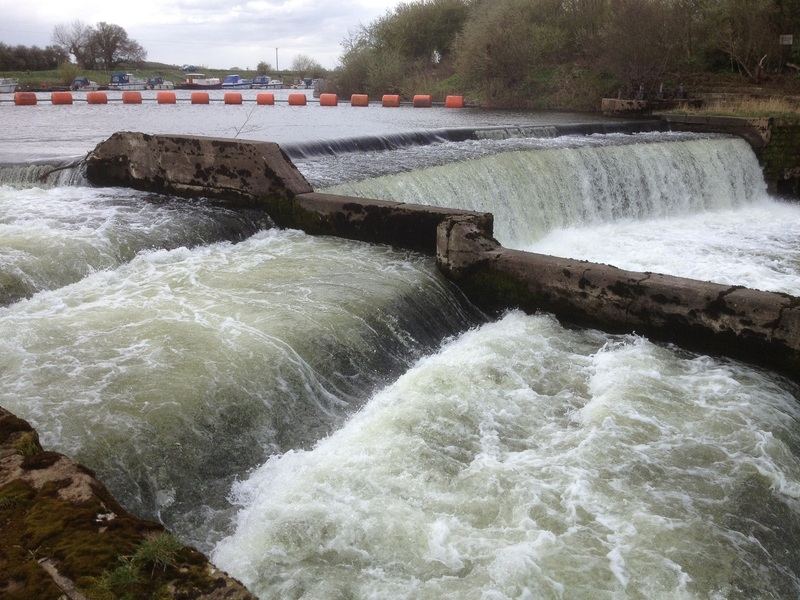 The Archimedean screw is particularly suitable for locations like Linton Lock, which is on an important salmon river and popular with fishermen, as it’s an exceptionally fish-friendly method of generating power. 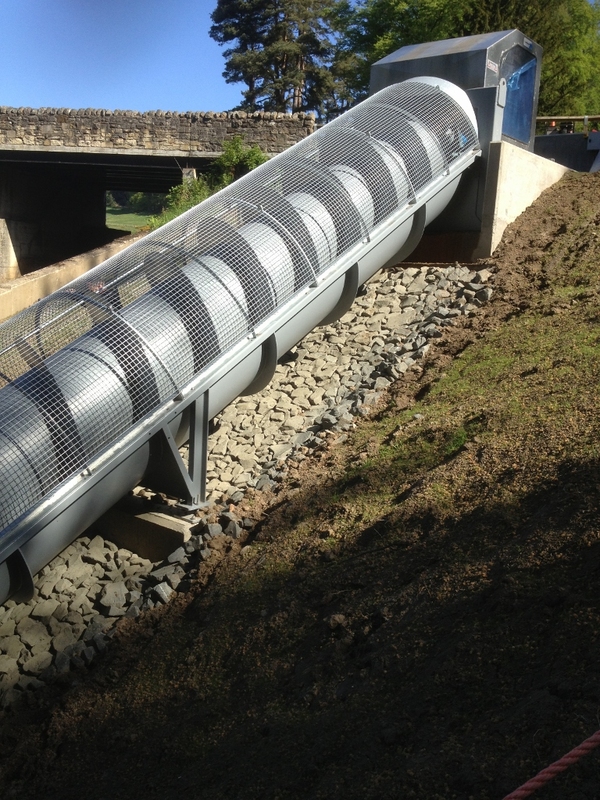 An Open Compact Archimedean Screw was designed for this project. 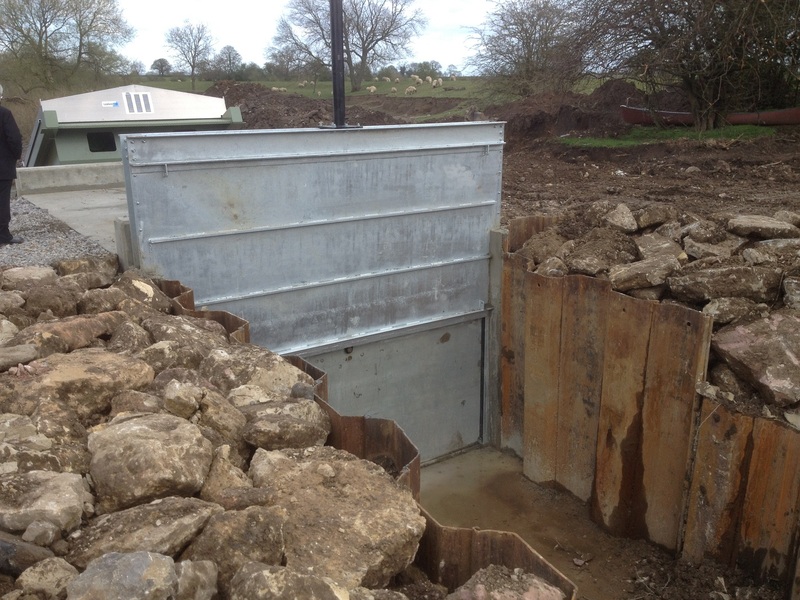 An Open Compact is a self-supporting U-shaped steel construction minimising necessary civil work on site. The generator unit is an integral part of the construction, easily accessible via a weatherproof, hinged generator cover. Rated at 100 kilowatts the hydro turbine is predicted to save in excess of 226 tonnes of Carbon Dioxide (CO2) annually. The predicted annual output is 525,600 kilowatt-hours. 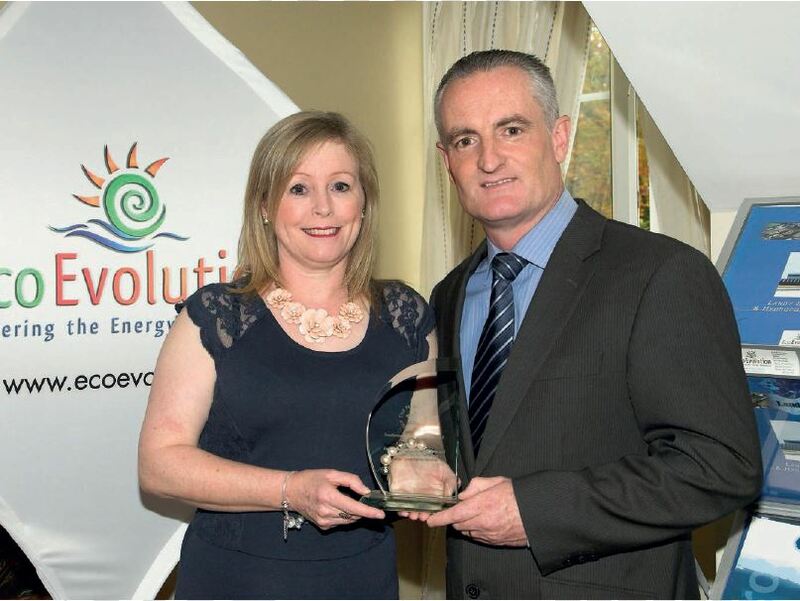 To put this in perspective, an average household uses less than 5,000 kilowatt-hours per year, so this hydro scheme has the potential to power more than 100 houses in the locality. 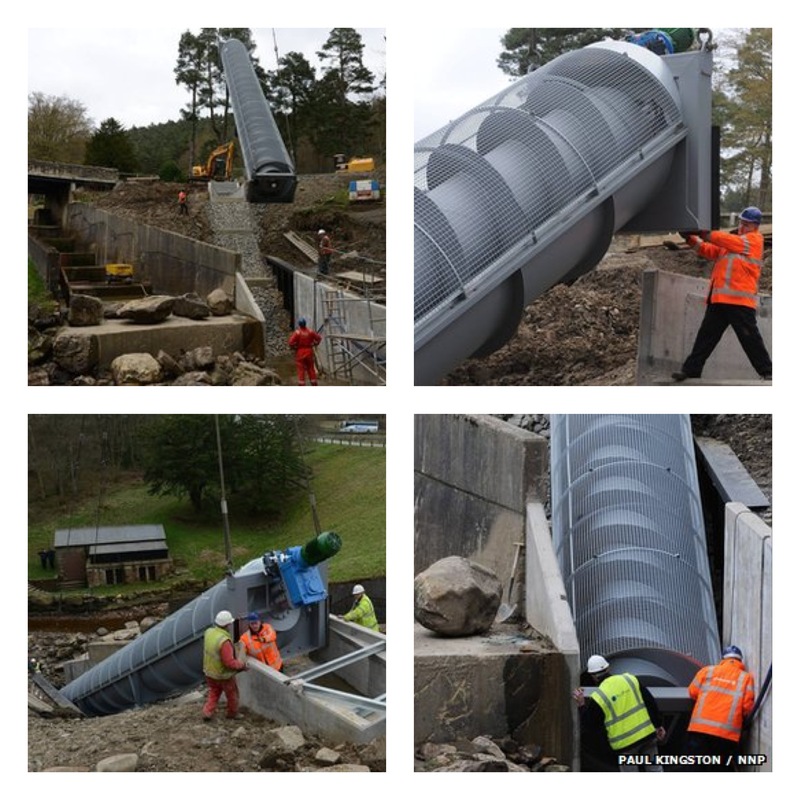 Mann Power Consulting Ltd., the UK based Archimedean Screw specialists designed the equipment for the Linton Lock project and it was manufactured by Landustrie based in Holland.